The Commercial Marine Expo is set to return to the State Pier in New Bedford, Massachusetts June 11-12, 2014. 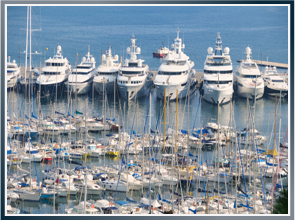 As the Atlantic Seaboard’s largest commercial marine trade show, the Commercial Marine Expo offers those in the maritime industry the opportunity to see hundreds of exhibitors, products, in-water vessels and equipment demonstrations all in one place. The 2014 Commercial Marine Expo will take place over the course of two days, from 10 am-4 pm, Wednesday, June 11 and 10 am-3 pm, Thursday, June 12. Information about exhibiting is available on the event’s website. In addition, for attendees who pre-register, attendance is free. A $20 fee per person will be charged at the door for attendees who do not pre-register. Who Do I Call If I Am Injured On the Water? Even if you do not plan on hiring an attorney, speaking with one after suffering an injury or losing a loved one on the water should be the first thing you do. Maritime law is very complex, and many lawyers will tell you what you need to know about your rights and options under the law for free. Latti & Anderson’s Little Extra: Only 42.6 percent of U.S. boat owners have ever taken a boating safety course, according to U.S. Coast Guard data.